The Bastille Market is becoming one of my favorite places in Paris. It runs on Thursdays and Sundays and is packed with rows of fresh produce and some cooked foods. There are multiple vendors selling fruits and vegetables, cheeses, fresh pastas, and meats. I come here to pick up food for my apartment and usually something for dinner. This is what I am trying for dinner tonight. Can’t wait! Living in Paris hasn’t been perfect. There are everyday language struggles as I try to figure things out. What flavor is something? Trying to figure out a menu, mailing things at the post office, and most importantly how to wash and dry my clothes without breaking the machine! My daily walks get me lost just about everyday as I follow what looks interesting instead of sticking to the map. 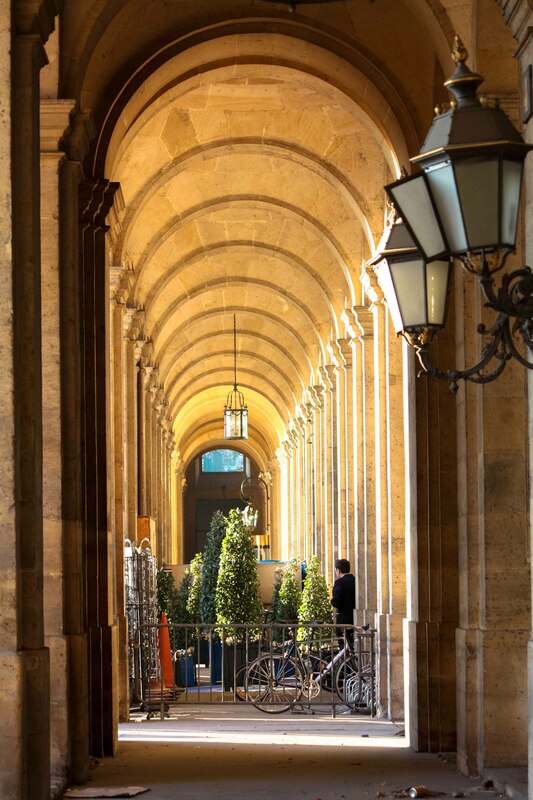 But each and everyday I am learning new words and discovering new parts of Paris… I am finding my way one day at a time! I first stumbled upon this little cafe a year ago on my walk through the Marais. I photographed it because of all its charm but didn’t go inside. This time while spending more time in Paris I made it a point to go back and find the cafe. Au Petit Fer A Cheval means “little horseshoe” in French. The inside bar is shaped like a horseshoe. The place is petit. I passed it a few times without even realizing it. But this is one of the reasons why it has so much character. If you can find a seat at the bar you can eat or drink. They serve a reasonably priced menu and serve coffee and wine. There is seating outside but its limited. If you get the chance there is also a few tables to sit and dine behind the bar. If you are walking through the Marais I highly recommend it. I am learning that the weather is not always accurate here in Paris. I didn’t want to get my hopes up when I heard it was supposed to snow a little last night. We had flakes all day as I walked through the Marais but it wasn’t sticking. 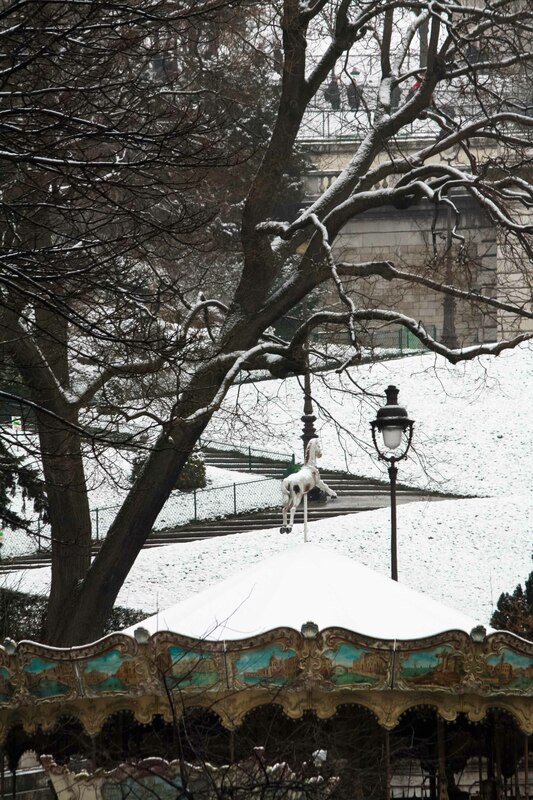 I woke up to find snow had left a light blanket on the city of Paris. I have wanted to live in Paris for a while now. I can’t say exactly how long. 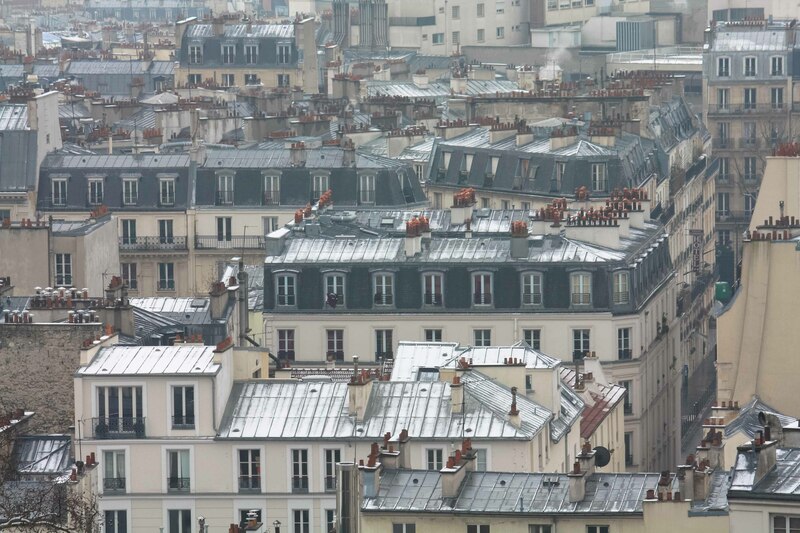 One thing on my Paris bucket list was to see it snow. It rarely snows in Paris so there wasn’t a big chance of this happening on my most recent trip. Especially because they had some good snows this year already. Today I got my wish. It may not look like much but just as the sun was beginning to set it started snowing. Just enough to coat the rooftops. I can’t get enough of all the fresh flowers here in Paris. There are markets everyday all over the city selling fresh produce and flowers. I recommend buying your flowers at the markets over some of the beautiful flower shops you can pass on the streets. I love interacting with the vendors, they wrap the flowers beautifully, and you can’t beat the price. I can never decide which color to take home. Which do you like best? My approach to photography has always been the little things that catch my eye that you wouldn’t always notice. 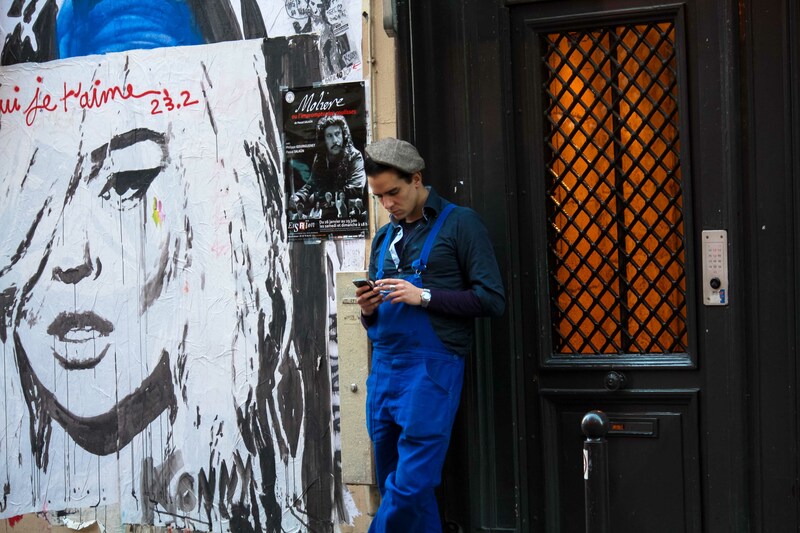 Here are two of my favorites from walking the streets in Paris.